Chris is Sarah McLachlan's Engineer. Learn from a Mix & Mastering powerhouse with over 25 years of industry experience ... including more than 10 years as the Engineer at Bryan Adam's Warehouse Studio! Multitalented would be an understatement when describing Chris Potter. From his much envied position as Sarah McLachlan’s engineer, to his mastering and his DVD mixes for such discerning clients as Bryan Adams and Rufus Wainright, Chris’s great “ears” and skills at the console are in high-demand. While out of the studio, Chris can be found designing and building home studios for such acts as Nickelback and Sarah McLachlan and producer Garth Richardson. Chris spent a decade at Bryan Adams " Warehouse Studio " involved in the design, construction and maintaining of the facility. While on hand he engineered and mastered many recordings for clients as well as many of Bryan's live and studio projects. Of course, for the last 10 years Chris has been dedicated to Sarah Mclachlan's projects and maintainig her private studio - when you're listening to Sarah on the radio, you're listening to Chris's amazing skills as a mixing and mastering engineer! 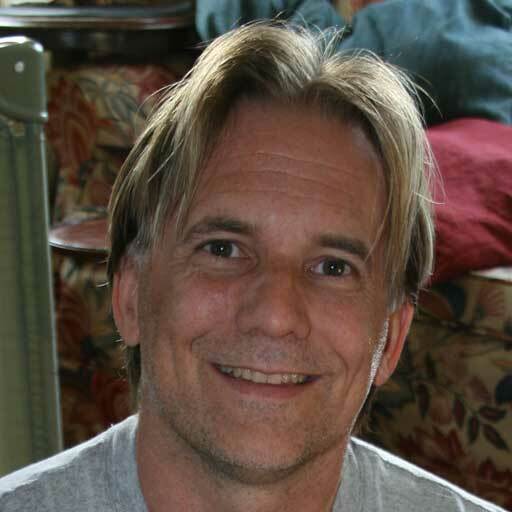 Chris has engineered and mastered hundreds of independent records as well as high-profile chart toppers. 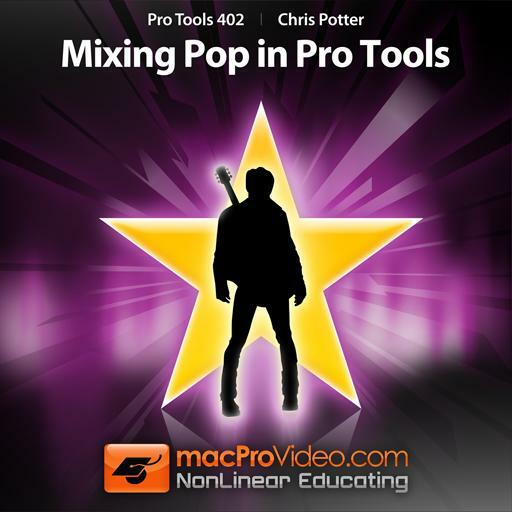 He looks forward to passing on some of the skills in his MacProVideo tutorial, "Mixing Pop in Pro Tools". This course has served to provide me with very valuable advice when it comes to mixing period! Whether it be pop or other genres of music, it translates in my book. Chris Potter via MPV, priceless! A great course! There are a lot of cool interesting ideas for mixing presented here. It also shows a very intelligent workflow for achieving results fast. Very well done. This is great. having different pespectives from pro producers helps. I hope you get more of these and more current users. Pretty Good Tutorial ...I thought the section on how to prepare your mix to print to disk were very helpful as well as how to prepare your mix for someone else/a mastering engineer. Very informative. Recommend this tutorial without reservation. These video tutorials save time time from browsing the internet in search of useful information. Everything here is all packed in to a one stop shop of valuable info! Excellent, well-paced, easy-to-understand. Generously gives tips it might take much longer to pick up if one were a tea boy in the old days. Appreciated the gear/plugin recommendations too. Fantastic introduction to the mixing process from an expert in this field, real examples of multiple are used from studio sessions taking you through the complete end to end process. Fascinating insight to help you create great mixes. Thanks !!! This is a brilliant tutorial. Chris lets everybody participate in his thinking process and gives you invaluable insight into his mixing process. This knowledge is very intimate and, while you don't become a master mixer over night, it teaches you how to think like one so you can try and apply this thinking to your own productions. Chris uses Pro Tools and a lot of his favorite plugins, but it really doesn't matter what he uses as his knowledge and the way he explains things can be applied to any other DAW and plugins of the same type. 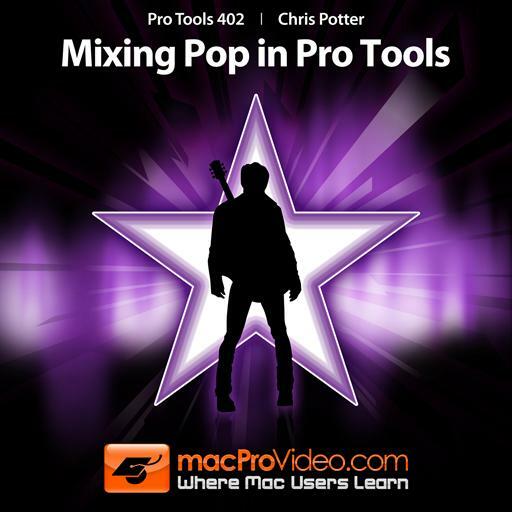 --- Chris takes you through his mixing process step by step. How he listens to the raw project, how he cleans up little glitches, how he organizes the project and then how he starts working, mixing and applying effects. --- Very detailed insight: In one video, Chris uses a specific compressor, and he tells you what he likes about it, then he explains WHAT he does to a sound and WHY he does it. With this understanding, you can basically go and apply it to your own compressor as you now know what it is to look out for and what to do with the compressor to make a part sound better. This is simply brilliant.